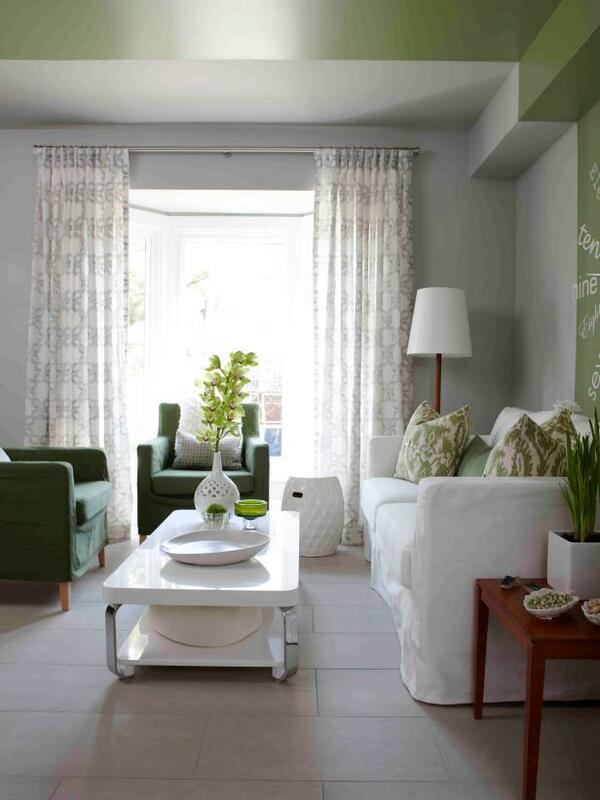 Paired with neutrals, sage green creates a cool, inviting and modern look. 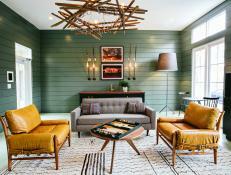 Here’s how to use this appealing color to create your own oasis—in any room. 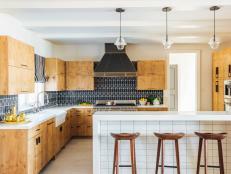 Giving a family kitchen a look that suited the wife’s penchant for cottage charm and the husband’s preference for colorful contemporary spaces posed an enjoyable challenge for designer Mark Williams. To delight both clients, he kept the look in the space clean and simple, painting cabinets, shelves, and wall in a soft blue-based green and incorporating a mix of refined-rustic elements—like the French country dining chairs—and furnishings and accessories with simple lines and neutral colors, like the armless sofa. The result is a modern mix that’s just right for the entire family. 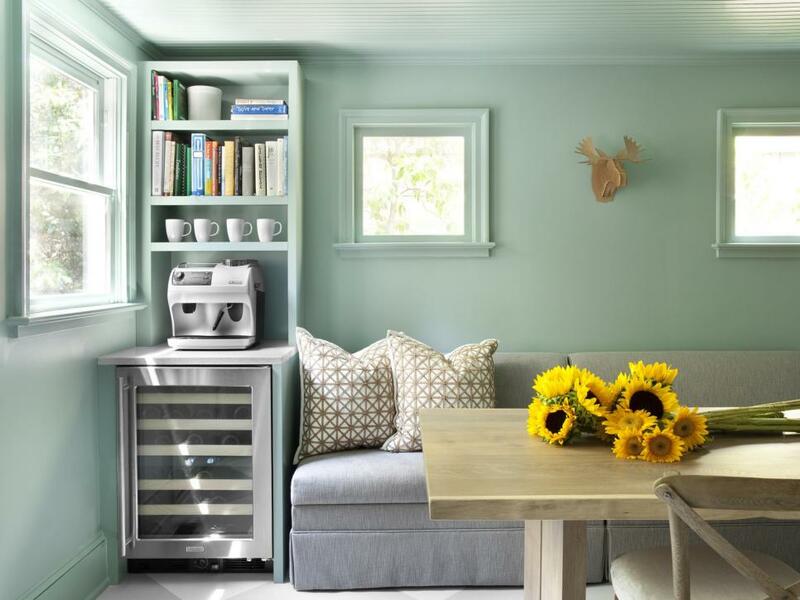 If you love the trendy look of gray cabinets but don’t want your kitchen to look like everyone else’s, consider choosing a muted shade of green, instead. Like gray, sage works with a wide variety of decorating styles, mixes beautifully with wood tones, stainless steel, and stone, and won’t look dated anytime soon. 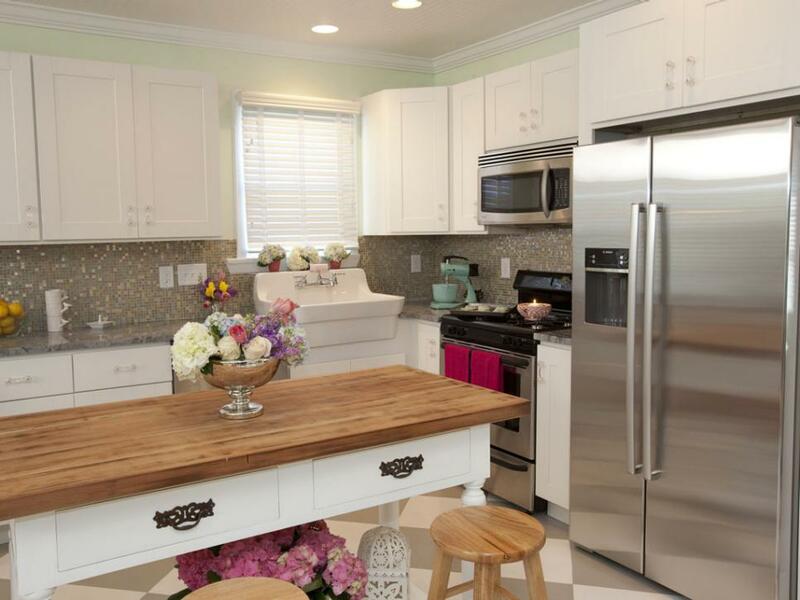 In this kitchen, black and white tiles in a Moroccan-inspired pattern add a graphic edge to the country-style cabinets. In this eclectic bath, designer Mary Jo Fiorella used sage green on an accent wall to create a colorful counterpoint to the composition of neutrals in the rest of the space. 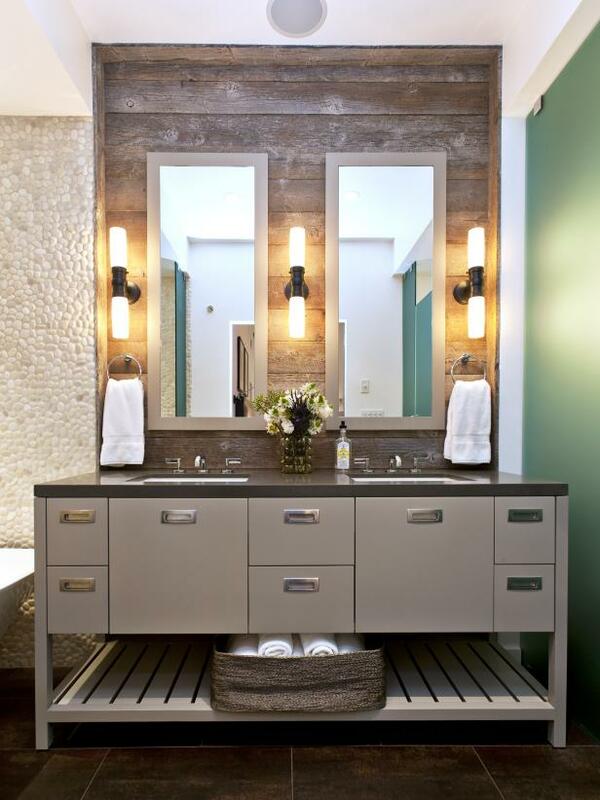 Reclaimed wood panels behind the vanity mirrors, a pebbled bath wall, and a stone vanity countertop work beautiful with the leafy green to give the space an all-natural look. 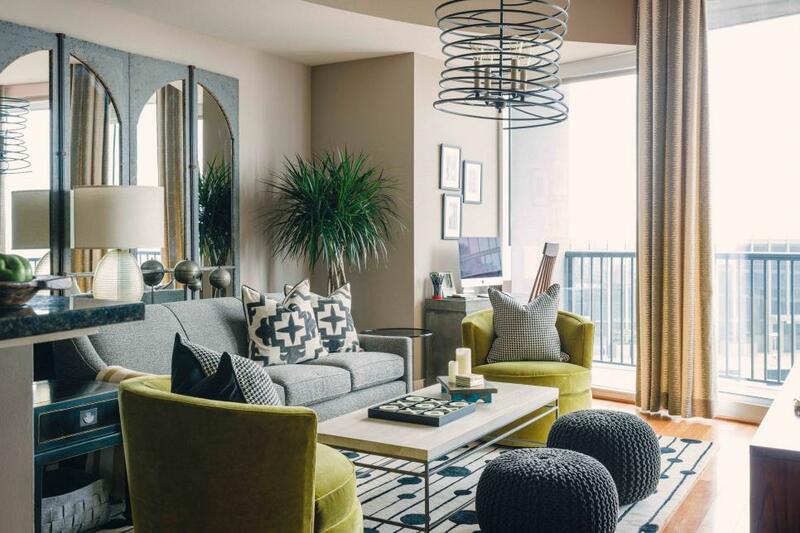 In this sophisticated living room, a largely neutral color palette gains interest and energy from layers of rich texture, from the woven poufs to the velvet upholstery, and pops of leafy green. The shades of green used in this space are more intense than the soft shades of the Urban Oasis living room, but the effect of pairing green with taupe, black, and white is similar: A look that’s grounded, but undeniably cool. To give this airy family room a grounding center, designer Amy Lutz chose an oversized sage green sofa to balance the large television-screen-topped mantel. The color of the sofa is a bit of a surprise in the taupe and white space, but it helps add warmth and coziness, creating an inviting atmosphere that’s perfect for entertaining or just hanging out. 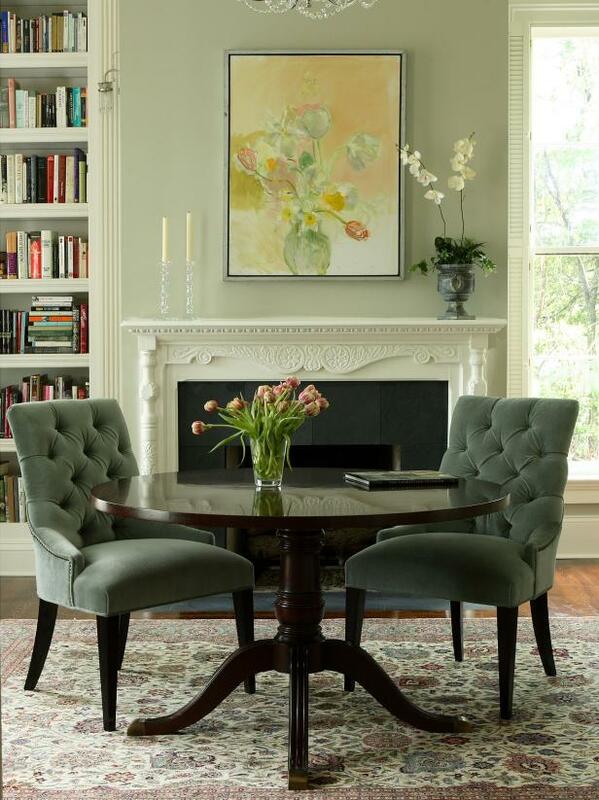 In this lovely library, designer Elinor Jones kept the focus on the richly detailed mantel and built-in bookcases by choosing the softest shade of sage green for the walls, then repeating the color in a darker tone on the side chair upholstery. 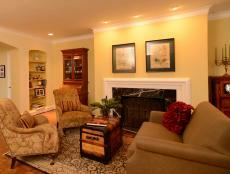 White painted woodwork and a black slate fireplace surround add crisp definition. The greens that make up the palette of this bright living room are a bit more on the yellow end of the spectrum than the sage used in the Urban Oasis living room, but the effect is similarly fresh, if slightly more energetic. 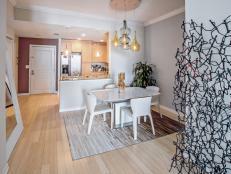 Plenty of white via the slipcovers, coffee table, lampshade, and walls helps create a cool, clean look. This transitional master bathroom suite features floating cabinetry in the double-vanity area flanked by tall cabinets on either side for a couple’s use. 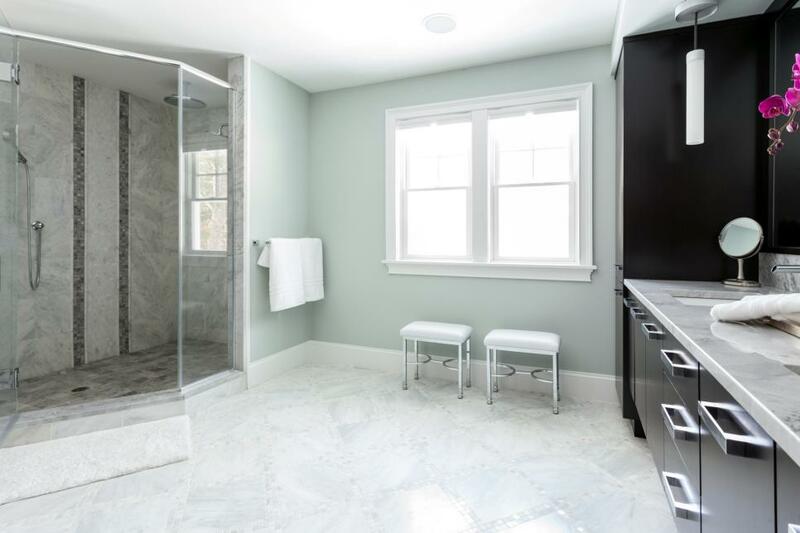 The generously sized walk-in marble shower includes a rain shower head and dual plumbing fixtures that allows simultaneous showering. The pale, silvery-green walls and wide-open expanses of light-reflecting marble keep the look cool, clean, and illuminating. 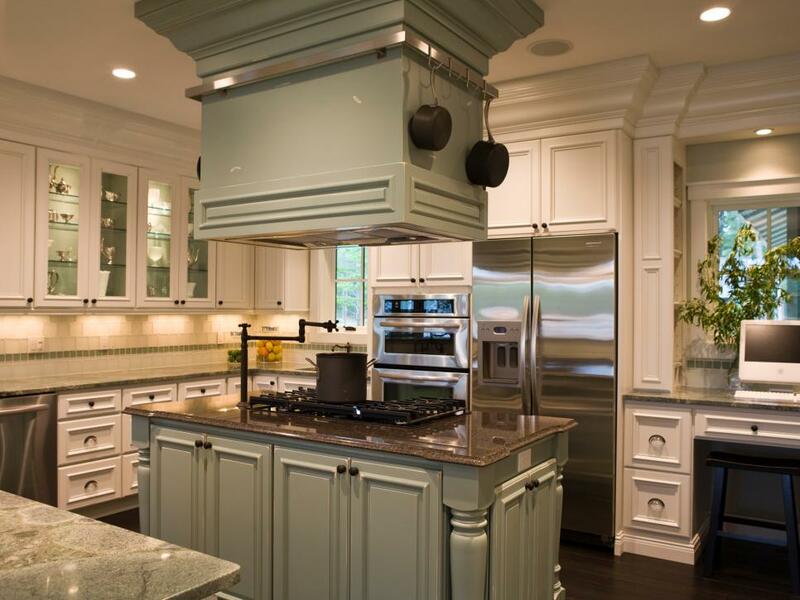 To give a cook’s kitchen a look of old-world elegance, designer Shane Inman chose a mix of finishes for the cabinets: quiet cream for the kitchen’s perimeters and a silvery sage to emphasize the center island and ventilation hood. A line of sage-colored accent tiles on the backsplash adds subtle repetition, without overwhelming the space with color. With its palette of layered greens and tans with a few black accents, this luxurious bedroom feels like an extension of the natural splendor visible from its glass wall. The choice of colors was, in fact, inspired by the surrounding Southwestern landscape, including the tones of the desert sage. 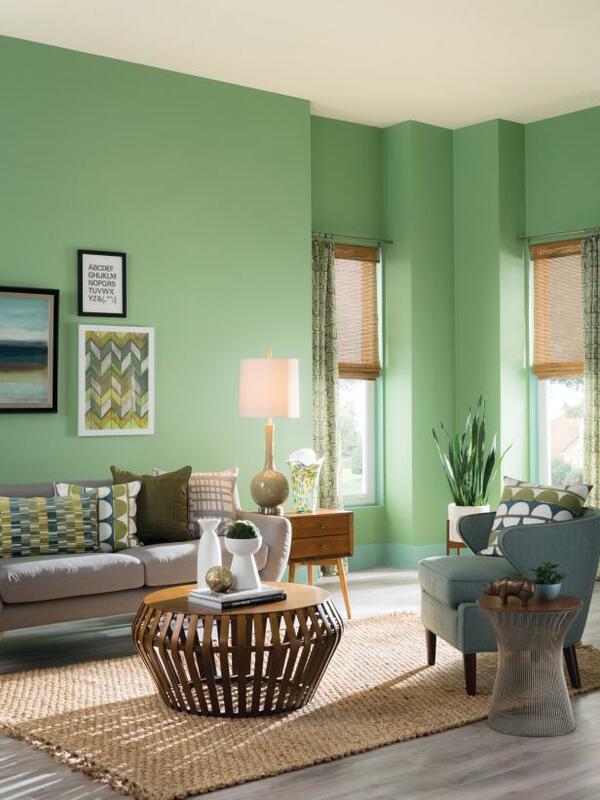 Sage green walls create a bright backdrop in a room with soaring ceilings but small windows. 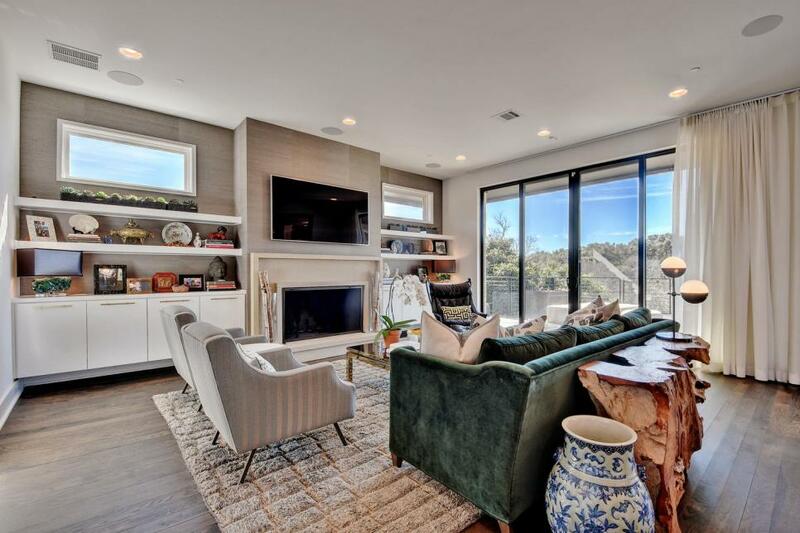 To warm up what could be an overly cool effect, the designers at Sherwin-Williams paints incorporated plenty of natural texture with woven shades and area rug, a slatted coffee table, and a wire side table. Neutral gray upholstery provides a quiet base for richly patterned pillows in a range of earthy greens. White accents—the ceiling, trim, accessories, and picture frames—lend lightness. In a boy’s bedroom, designer Brian Patrick Flynn took care to mix the necessities—a desk for homework sessions, for example—with lighthearted accents like a swinging hammock seat. The sage green walls are an appealing alternative to the usual blue, and would work just as well in a girl’s room. Plenty of white trim and silvery metallic surfaces create a crisp, tailored look that will stand the test of time. 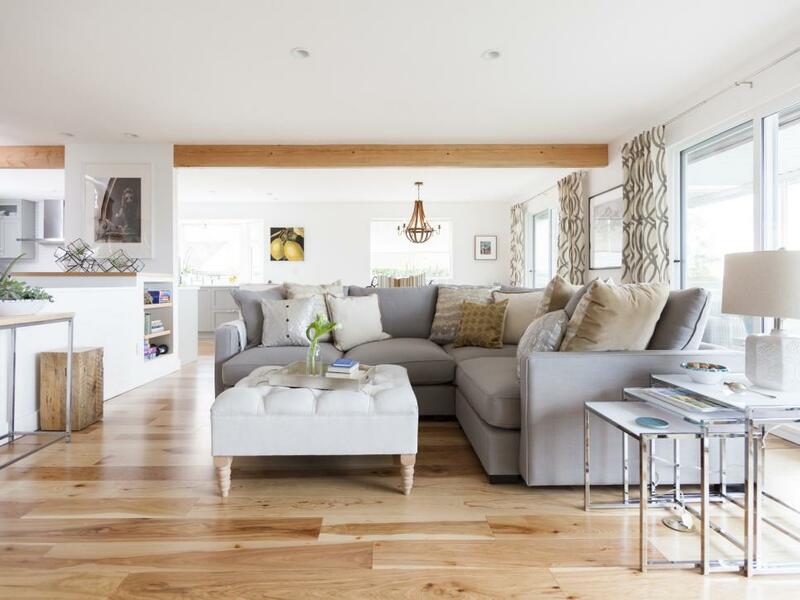 In a sun-drenched family room, designer Jillian Harris of HGTV’s Love It Or List It kept the emphasis on the wide, open vistas by limiting the palette to gray, white, and a few warm neutrals. Sage green comes in as an accent on the geometric pattern of the window panels, which function almost like artwork in the simple space, providing a focal point and breaking up the long wall of glass. Although high contrast is a favorite designer tool for creating drama, a monochromatic palette can be just as effective. Case in point: This luxe dining room from designer Brian Patrick Flynn. 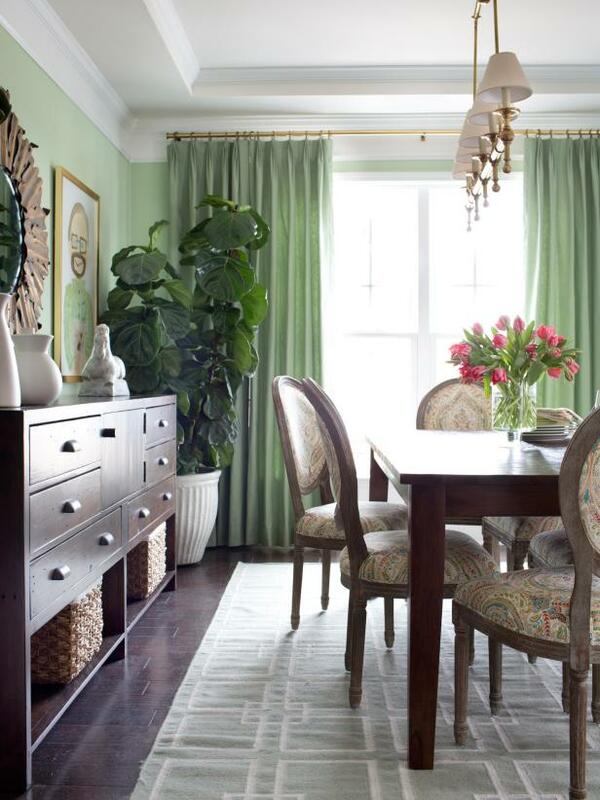 Choosing subtle variations on sage green for the room’s walls, window treatments, upholstery, and area rug created a look that’s restful but undeniably rich. A mix of wood tones plus natural accents like the fiddle-leaf fig tree complete the elegant effect. 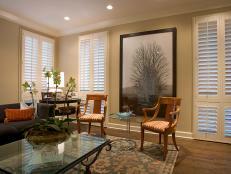 Creating a sense of elegance in a smaller space is a designer specialty. Here, designer Leah Atkins used a symmetrical furniture plan—repeating the same elements, right down to the mirrors, on both sides of a small living room—to create the illusion of a grander expanse. 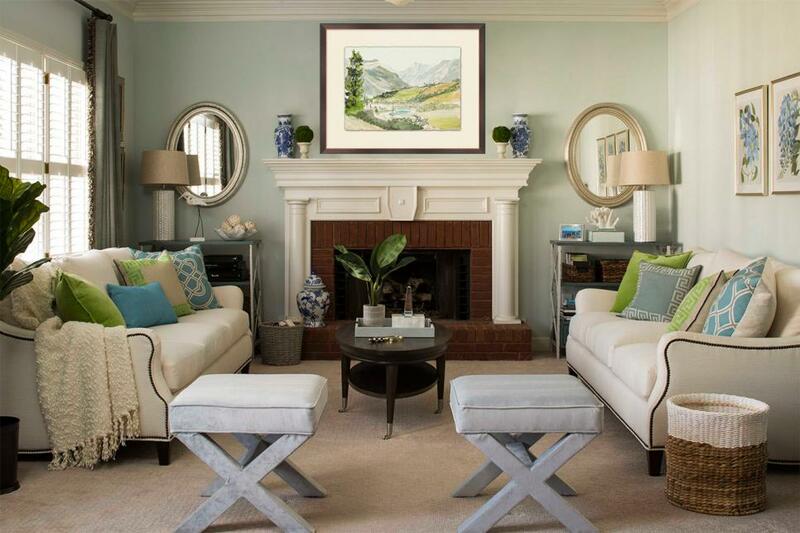 A barely-there color palette of watery green on the walls, white on the sofas, trim, and carpet, and gray on the stools, gets a little pop from the brighter greens and blues of the sofa pillows and artwork. Pale blue is often the go-to for creating spa style in a bath, but sage green works just as well—or even better, since the color is less expected. 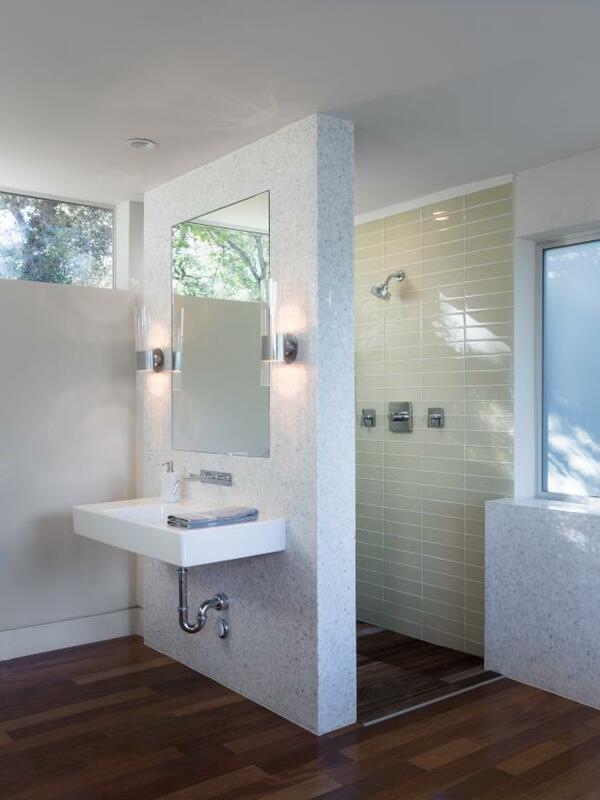 Here, architect Hugh Jefferson Randolph used the color on subway tiles to line the interior of an open shower in a contemporary bath; the other side of the shower wall supports a floating vanity, mirror, and clear glass sconces. 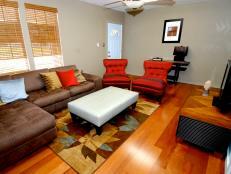 Dark wood floors warm up the sleek space. 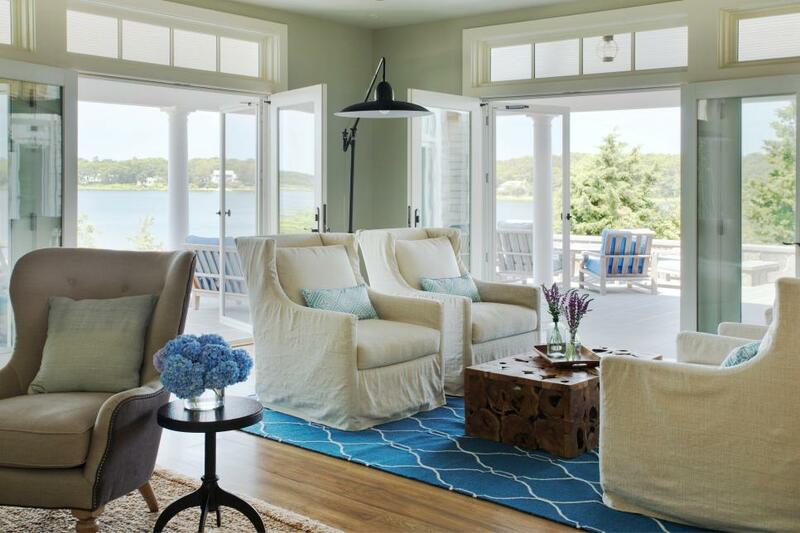 For a vacation house with spectacular seaside views, the team at Martha’s Vineyard Interior Design used a color palette of spring-y green and watery blue to recreate the exterior vistas inside. 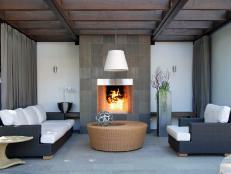 White trim, creamy linen slipcovers, and plenty of warm wood impart a balanced mix of freshness and warmth. 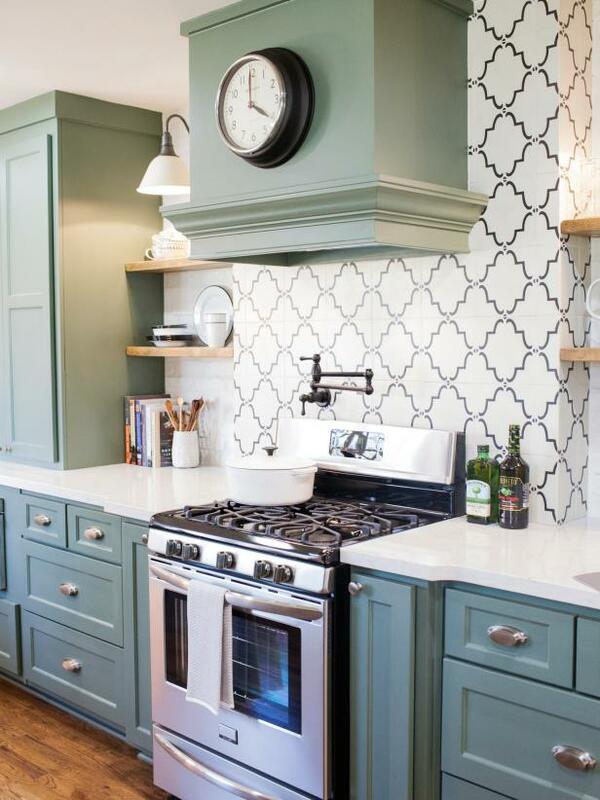 A classic subway tile backsplash gains personality from a gray-green colorway that’s a deeper version of the sheer green on the walls above. Black granite countertops, white cabinets and trim, sheer cafe curtains, and gleaming nickel fittings complete the clean, traditional look. 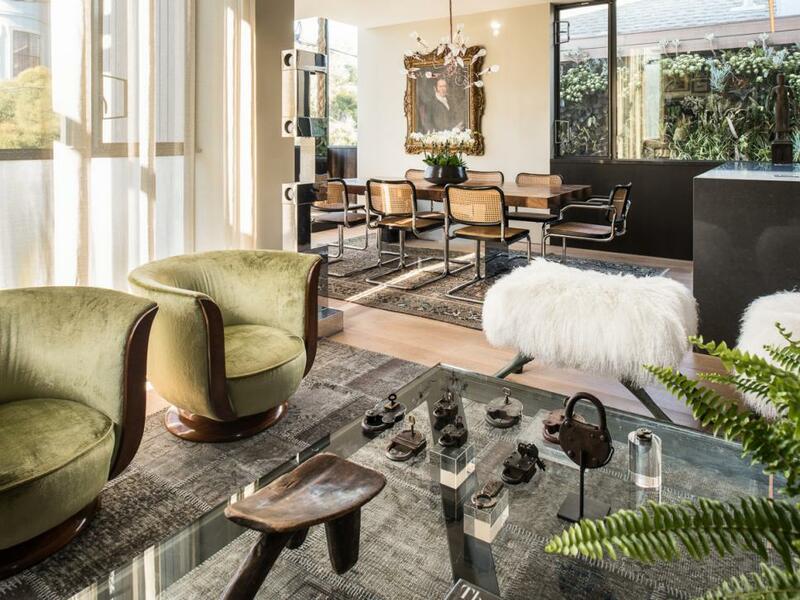 In a contemporary space with an open, flowing layout, designer Antonio Martins used area rugs in rich shades of gray to differentiate the dining and seating areas. A pair of sculptural side chairs upholstered in a soft shade of green give the living area its own identity and provide some relief to the starkly neutral color scheme and minimalist architecture.